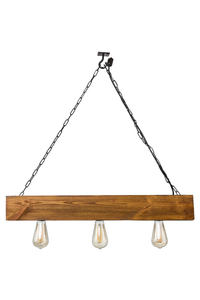 Thank you for submitting your question about Hanging lamp wooden loft beam Marlo rosewood. 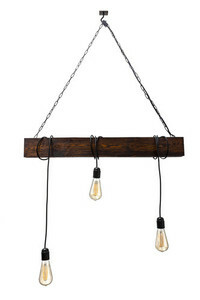 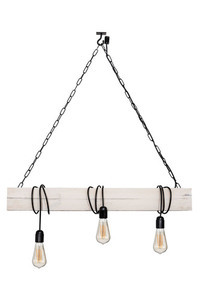 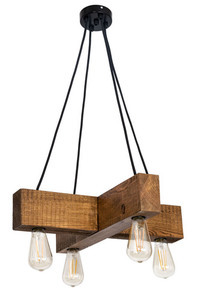 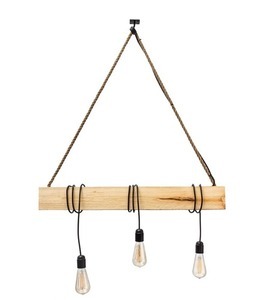 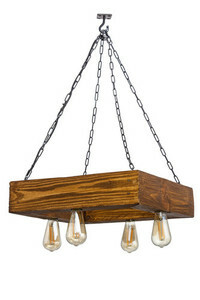 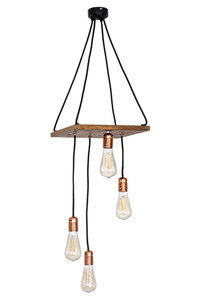 Hanging lamp that will provide beautiful and impeccable lighting, no matter how big the room will be in it. 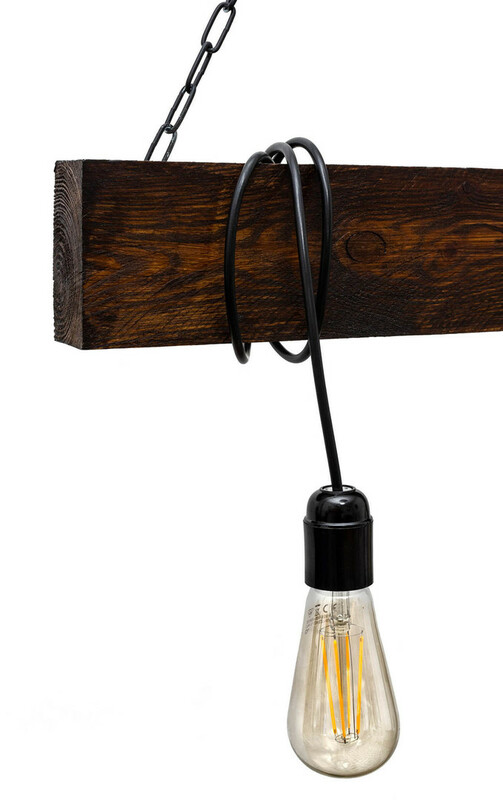 Lampa loftowa Hanging Wooden Lamp Loft Marlo Palisander, a luminaire, which design, refers to the production and storage halls. 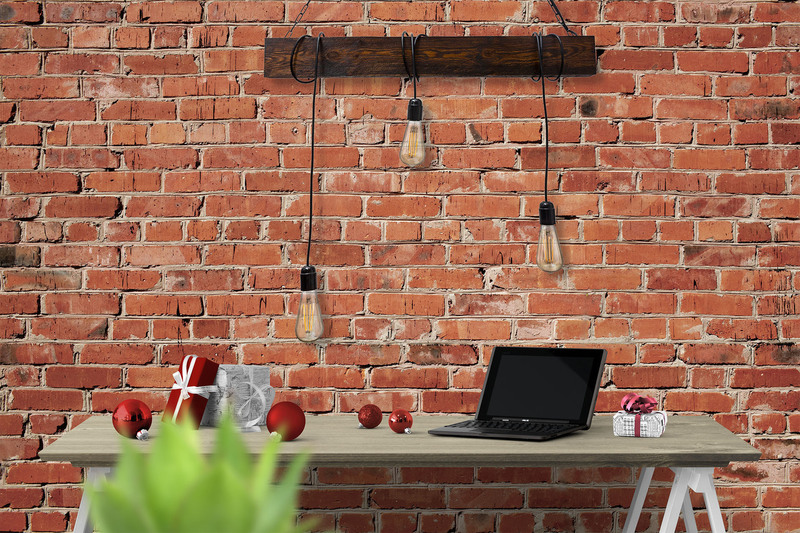 This lamp will best shine in the office, living room, dining room or bedroom. Lamp made of wood. 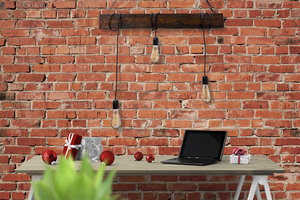 The lamp allows operation with 3 light sources with E27 socket and a maximum power of 60 W, which allows for sufficient lighting even in larger rooms. The lamp height: 86cm, width: 6cm.